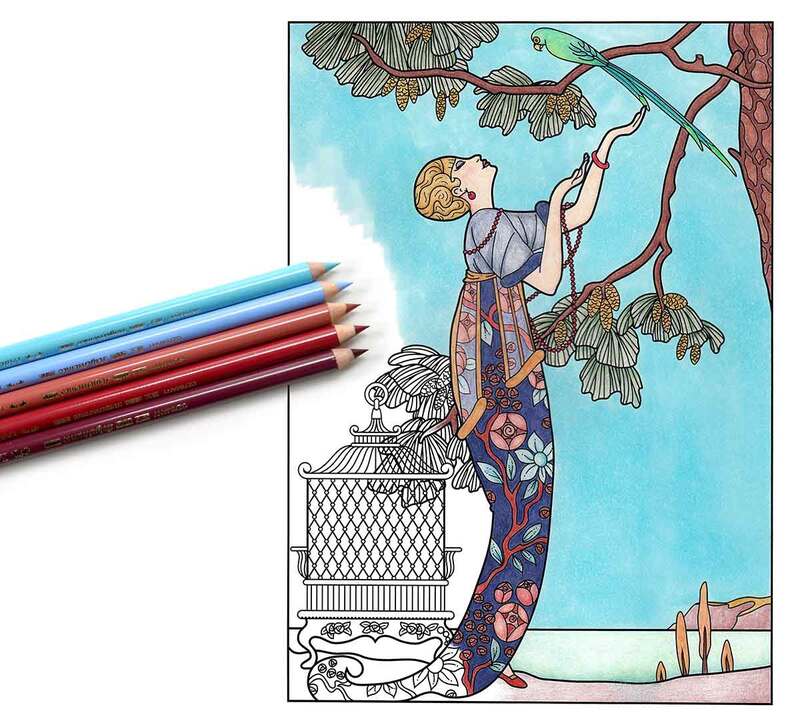 Glamourdaze talks to illustrator Wendy Piersall, whose recent publication The Masters of Fashion Illustration recreates a forgotten era of art nouveau in fashion illustration, and what’s more – you get to colour it in ! 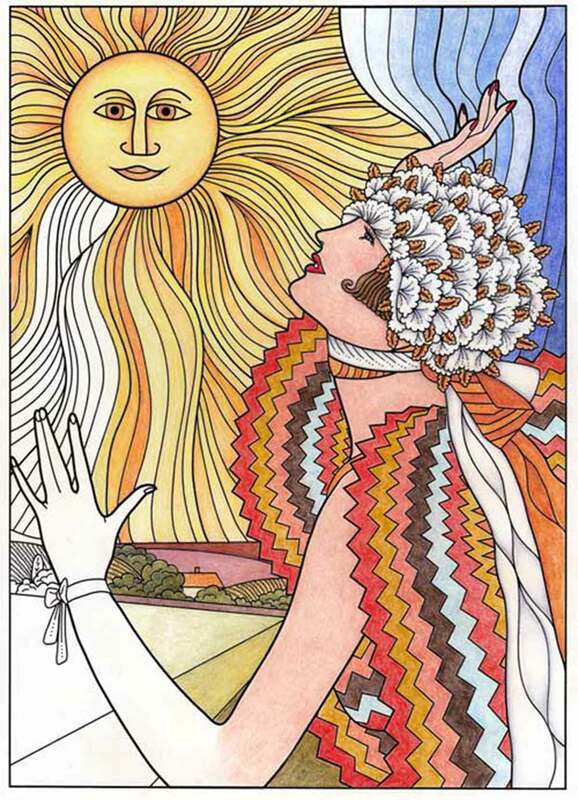 Why did you want to draw an adult coloring book about vintage fashion? be able to redraw and color them myself. I almost gave up on the idea, but the project was so dear to me that I just couldn’t let it go. For anyone that adores vintage art and clothing like I do, I think they can probably relate to my love of this body of work! Why have adult coloring books gotten so popular? I think that coloring offers people a very accessible way to get to a place of inner peace and calm. Some people can get there through meditation, others through yoga or exercise, or even going for a walk or hike. Artists get there by creating art. Coloring offers the same mental benefits, in a very easy format. With so many benefits, and it being such an easy hobby to start, it’s not surprising that it’s gotten so popular. What are your tips to get the most enjoyment from coloring? First of all, if coloring something beautiful is in any way intimidating, kick your perfectionism to the curb – there is absolutely no possible way to color ‘wrong’. I like to color with my favorite music in the background in an area with a ton of light so I don’t have to squint to see the tiny details of adult coloring book art. My 21 year old daughter colors when she’s sunbathing or on the go and needs to kill time. There’s also a HUGE coloring community out there on social media, so I suggest sharing your work and connecting with other colorists. How did you get started in creating Adult Coloring Books? I have been drawing mandala coloring pages for Woo! Jr. since 2009. 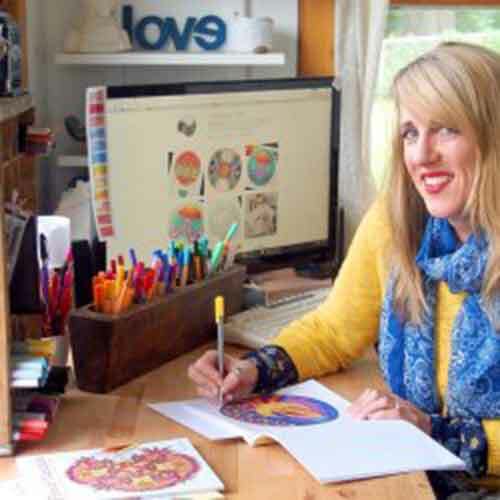 Ulysses Press found them in late 2013 and offered me a book deal based on a set of animal mandalas I had created for my daughter. The timing was perfect and I was lucky to have books out when adult coloring started going viral in the spring of 2015. 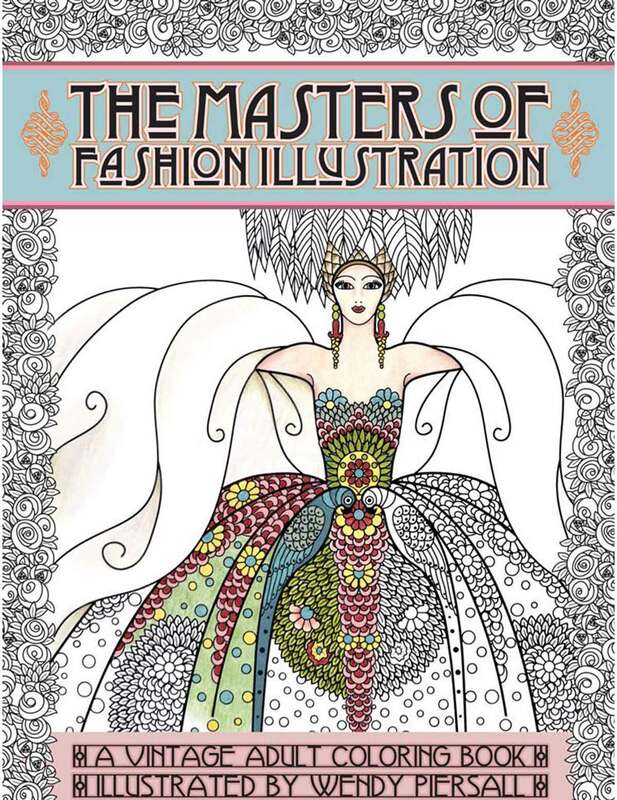 I have since published 5 books with Ulysses Press, and The Masters of Fashion Illustration is my first self-published title. I thoroughly enjoy drawing coloring books, so I’ll continue to make them as long as they continue to sell! How fantastic. I love this coloring book trend. I’ve been trying to work on one, but get distracted by other projects. I was so hoping someone would do something vintage like this! Thanks for the post. I wouldn’t have know about it otherwise!